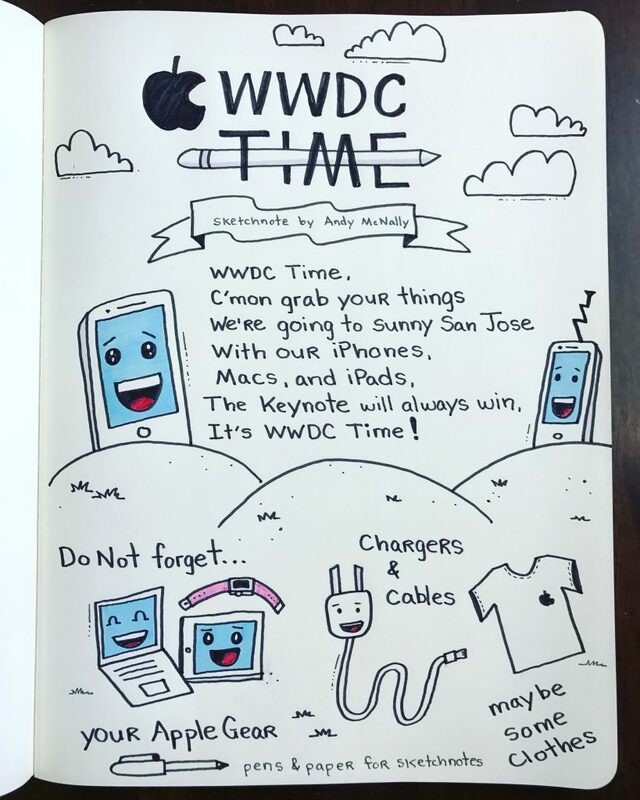 An homage to Adventure time as I get ready to sketchnote Apple’s WWDC. The top version was created on an iPad Pro with the Apple Pencil using Adobe Draw. The version below is Sharpie Pen and a Paper Mate Flair marker on paper.